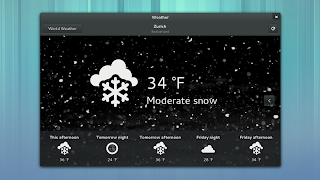 GNOME 3.8 has been released today, the new version bringing many new features and enhancements, including a new application view and overhauled window layout for GNOME Shell, new setting panels for privacy, search and notifications and of course, many updates to the core GNOME apps like Web (Epiphany), Boxes, Documents and more. 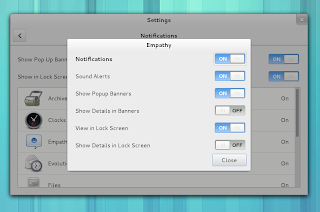 the Message Tray now lets you clear all notifications by right clicking on the tray and choosing "Clear Notifications"
new input methods OSD switcher. Like we were telling you a while back, the old GNOME fallback mode has been removed and in its place, there's a new classic mode that tries to provide a GNOME2-like layout. 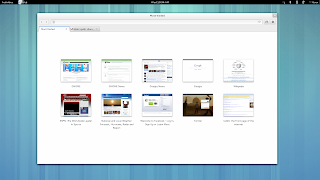 The new Classic mode uses some GNOME Shell extensions to achieve this so even though on a first look the layout is similar to GNOME 2, you're still using GNOME Shell and you can access the Activities Overview and other GNOME Shell features. 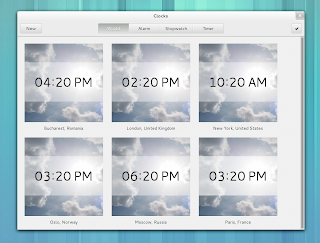 The core GNOME applications have received many enhancements and there's also a new application: GNOME Clocks. 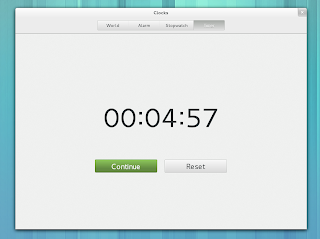 GNOME 3.8 is the first GNOME release to include Clocks by default. This is an application that lets you see the time in various places around the world (that you add), set up alarms, stopwatch and a timer. 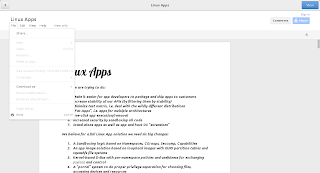 sharing dialog for Google Docs. 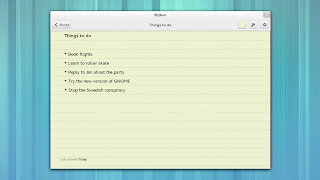 GNOME Documents screenshots via mclasen because I couldn't get the app to work. 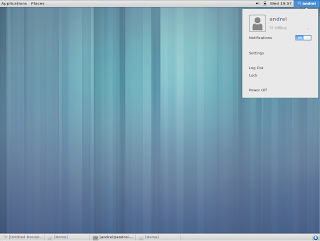 Nautilus (Files) has got its treeview back and also, it is now integrated with the Recent Files feature in Privacy Settings. delayed tab restore on startup. 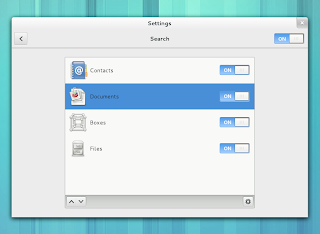 There have also been many changes to GNOME Boxes, Contacts, Gedit has got an appmenu like the other core GNOME applications and more. 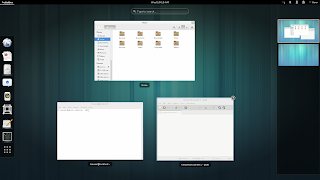 And finally, GTK+ 3.8 includes support for Wayland 1.0 and there have been various improvements to text handle theming, various GTKWidget improvements and more. 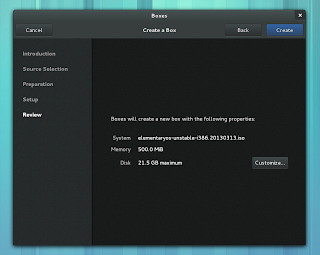 For more info about GNOME 3.8, check out the official release notes. 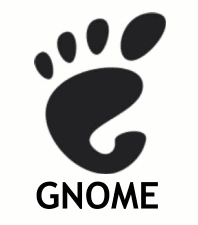 The next stable GNOME release - 3.10 -, is also supposed to bring automatic extension updates, Git integration in the developer experience, a new Maps application, Colour Tinting in GNOME Shell, Videos application implementation and Focus-caret tracking in GNOME Shell. The feature list for GNOME 3.10 is still being discussed so this is not a final list of improvements we'll see in the next stable GNOME release. 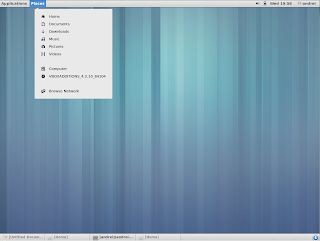 GNOME 3.8 will be available in distros that ship with GNOME, such as Fedora (19), etc. 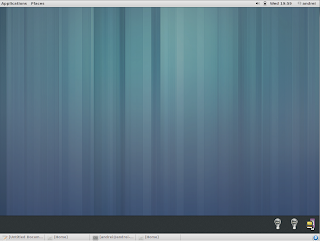 and there should also be some ISO files available for testing on the GNOME.org website (they aren't available yet). 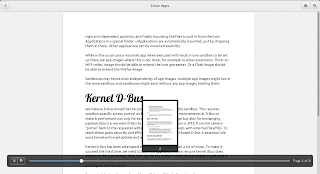 Note: the screenshots / video were made using GNOME 3.8 RC2 so there might be some slight differences between what you see here and what's in the final GNOME 3.8 release. But only minor changes (if any)!